Sitting in the garden on a warm summers day in Dublin looking at flights to Delhi it was hard to imagine what 42c would actually feel like. I had always wanted to visit India but to fly into an oven only for it to turn to a shower during monsoon was something of a concern. On the upside the flights were incredibly cheap – £150 one way with Air India from Heathrow. Of that the base fare was £12, plus some fuel add-ons but the whopper was £110 in UK taxes! How Air India can make money flying me to Delhi for £40 I couldn’t figure out. Later I was told that they are the airline which loses most money and in the air industry that’s among a strong field! Anyway the tickets were booked and heading through Dublin Airport on my way to London I saw this sign which I took as a positive omen. The flight itself was about a third full and almost every passenger down the back had three seats across each. 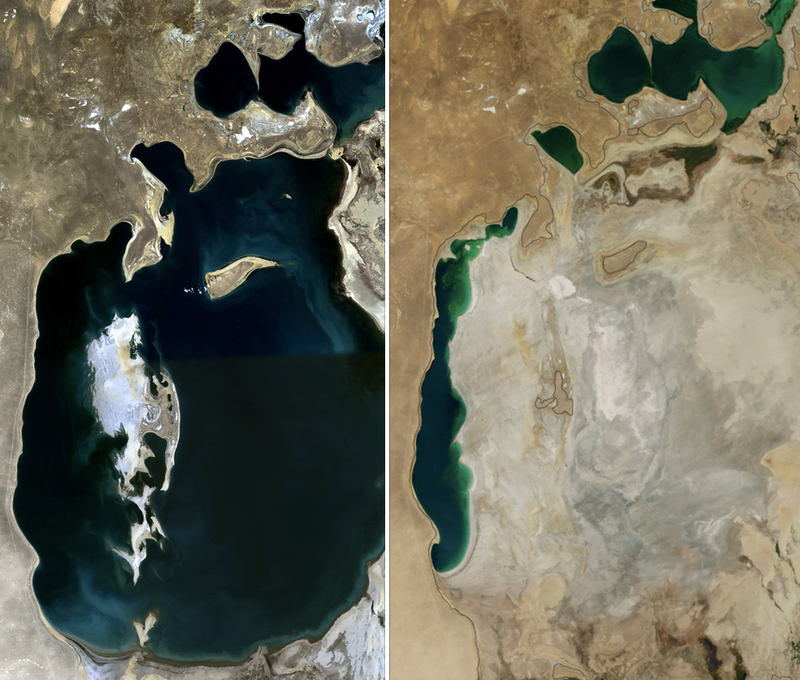 We flew over what remains of the Aral Sea which due to catastrophic water management in Soviet times has shrunk to a sliver of former self – the onscreen map still shows the old shores of the sea while out the window is just dry. Nothing short of a wall of heat hit me leaving Indira Gandhi airport and it was off in a tuk-tuk to my hotel for the night near the main train station. Even at midnight Delhi was a flurry of people, pedicabs, tuk-tuks, honking, rubbish and all life – I was simply happy for that the A/C in my room could be set at a ferocious setting to at least try and get a good nights sleep. The next morning it was out to explore the chaos that is Delhi. Delhi itself is split between the maze-like streets of Old Delhi to the North and the garden and wide boulevard layout of New Delhi in the South – designed by the British and finished in the mid-1930s only for India to be independent a decade later. Walking through the imposing sandstone secretariat buildings over New Delhi I was overcome with the heat and managed to talk my way into one of the government buildings to buy a cool drink – and have a sneak peek around to boot! I thought the inscription “Liberty will not descend to a people: a people must raise themselves to liberty. It is a blessing which must be earned before it can be enjoyed” above the buildings was somewhat haughty and ironic how much blood was spilt on putting down Indian mutinies. Nearby was the official residence of the President and at the far end of the rajpath was India Gate – a memorial to those soldiers from the sub-continent who died in WW1. In the baking heat and with little or no shade I made a strategic retreat of my own to the Imperial hotel – another one of these beautiful colonial hotels which seem transported from London. The Imperial Hotel – what country am I in again? In the 1911 bar I settled in to chill down with a cool Gin & Tonic before heading back into the Delhi night. Stepping back out into the street with people lying on the pavement, dogs around and the incessant heat, horns and hassle is a shock to the system all anew but ever so slightly less each time. a post full of many inaccuracies and preconceived notions.